Please find our contact details below. 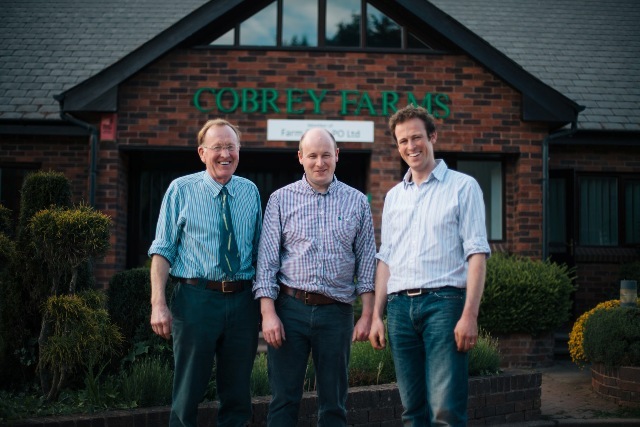 We are based in the countryside just south of Ross-on-Wye, near to the A40. When you reach Ross-on-Wye, take the A40 signposted to Gloucester. Continue through the village of Weston-under-Penyard and just after the bends in the road at Ryeford, take the right turn signposted for Hope Mansell. Continue along this road and after about 2 miles, you will come to Coleraine Buildings on your right. Go down the large double driveway and the office is straight ahead of you. Take the A40 from Gloucester (heading towards Ross-on-Wye), passing through the villages of Churcham, Huntley and Lea. Approximately 1.5 miles after the village of Lea, take the left turn signposted for Hope Mansell. Continue along this road and after about 2 miles, you will come to Coleraine Buildings on your right. Go down the large double driveway and the office is straight ahead of you. Leave the A40 at the junction for the B4229 (Goodrich) and continue on this road in the direction of Goodrich (but do not go into the village) until you cross over a bridge and reach a T-junction. Turn left at the T-junction onto the B4234 (Walford and Ross- on-Wye). Continue on this road through the village of Walford, and as you reach the foot of the hill, take the right hand turn (at the sharp left hand bend) signposted to Howle Hill and Hope Mansell. After about 2 miles, you will come to Coleraine Buildings on your left. Go down the large double driveway and the office is straight ahead of you. The closest train stations are at Hereford, Gloucester, Ledbury or Newport, which are all approximately 45 minutes away from the farm. Taxi stands are on the forecourts. Ross-on-Wye (10mins drive) is the closest bus and coach stop. There are bus links to local towns and train stations and National Express coach links to major UK cities and airports.